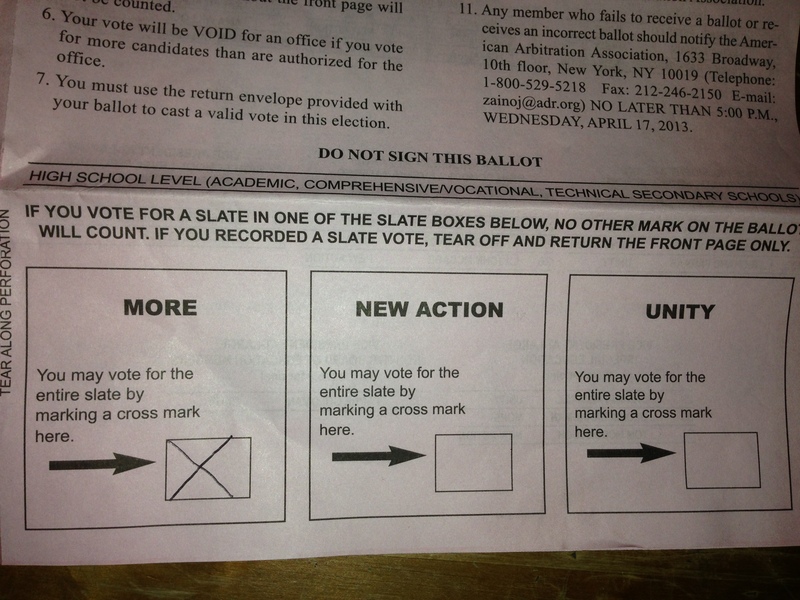 The UFT ballot was mailed out Wednesday 4/3, you should have it by now or in a couple of days. 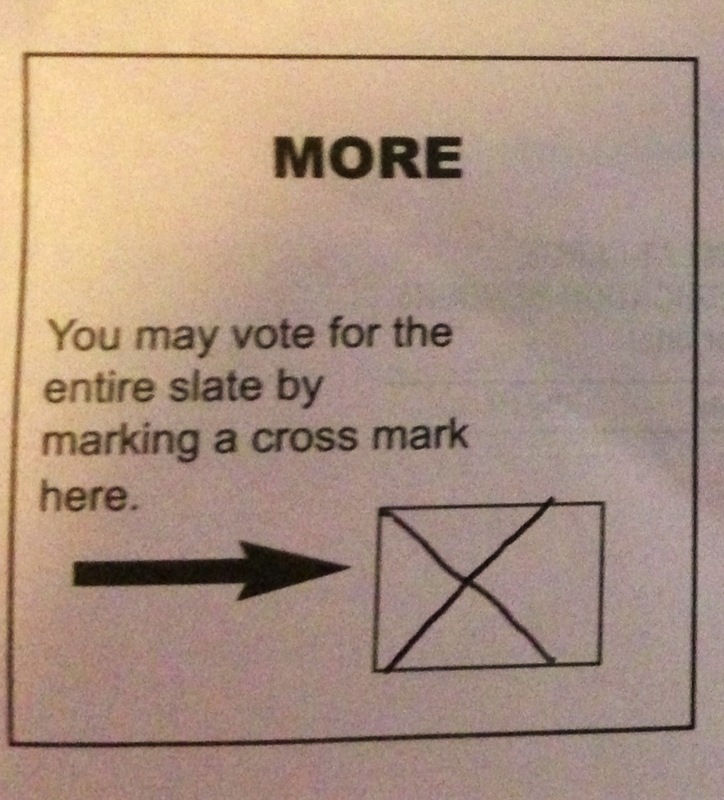 We hope you will cast your UFT ballot for a positive alternative to the current leadership. MORE will lead our union by fighting for educators, students, and parents and against profit driven reform that harms our public education. 2. Tear off front page and place in envelope marked “secret ballot”- seal it. 3. Place the envelope in the pre-addressed envelope with your information on the reverse and seal. 4. Postage is pre-paid. Drop in any mailbox BEFORE April 24th.